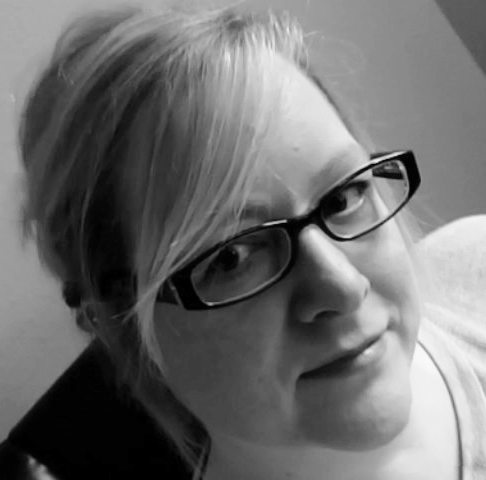 PODS (Book #1), by Michelle Pickett, BOOK TOUR, REVIEW AND GIVEAWAY! Seventeen-year-old Eva is a chosen one. Chosen to live, while others meet a swift and painful death from an incurable virus so lethal, a person is dead within days of symptoms emerging. In the POD system, a series of underground habitats built by the government, she waits with the other chosen for the deadly virus to claim those above. Separated from family and friends, it’s in the PODs she meets David. And while true love might not conquer all, it’s a balm for the broken soul. After a year, scientists believe the population has died, and without living hosts, so has the virus. That’s the theory, anyway. But when the PODs are opened, survivors find the surface holds a vicious secret. The virus mutated, infecting those left top-side and creating… monsters. Eva and David hide from the infected in the abandoned PODs. Together they try to build a life–a new beginning. But the infected follow and are relentless in their attacks. Leaving Eva and David to fight for survival, and pray for a cure. Terrifying Future Tempered by Tender Romance! PODS, by Michelle Pickett, offers readers a vision of the future which I found both realistic and terrifying. In the novel a deadly virus, which kills its victims within days and which has no known cure, has struck the Earth’s population. In the US the government holds a nationwide ‘raffle’, the winners being guaranteed apparent safety, alongside essential government personnel, scientists and military etc. in specially designed PODS deep underground. Meanwhile the virus wreaks havoc topside and the hope is that it will die out in the absence of remaining live hosts…. The tale centres on Eva, a 17 year old High School student. We witness how she, her family and others react to the news of the virus, the raffle, Eva’s guilt at being selected and the bittersweet realisation that once she enters the POD system she will never see her family or friends again. Before going into the PODS Eva with the other ‘chosen’ spend two weeks in isolation in quarantine to ensure that their bodies harbour no nascent virus. Only then does she enter one of the many PODS, with other young men and women (for it is only the young and healthy who have been selected). All find it difficult to adjust to being separated from the life they knew and their loved ones and need to work together to remain sane under such claustrophobic and bizarre circumstances. I loved the the two main leads Eva and David. Both show themselves to be very level headed in a crisis and believe me there are many that they face! Their growing relationship is a delight to behold and there are many tender and bittersweet moments. The couple not only harbour a strong physical attraction to one another, but are also well suited in terms of their character. David is a real hottie who puts Eva’s welfare above his own and Eva is a strong and caring individual who is willing to fight for the safety of those she cares for and she wants to be with David whatever the cost. They and the other survivors have to put their youthful dreams behind them and adapt to survive, even when the actions they are compelled to take are far from palatable and heartbreaking at times. Other characters in the novel were well drawn. My particular favourites whilst the scenes unfolded in the PODS were Jai Li and Tiffany. Once topside I liked the character of Devlin, who along with David protects others from the infected. There is plenty of tension in terms of characters who do not see eye to eye with others and the ever present government authorities who control life for those within the PODS and many areas topside, holding the destinies of many within their hands. The tale contains adventure, blood and gore, betrayal and self-sacrifice and plenty of romance. I found the tale a realistic portrayal of what could happen if such a fate ever befell humankind. I recommend PODS to readers of Young Adult novels who like a thought provoking romance set within a future dystopian society. The second novel in the series, Infected, comes out this month. 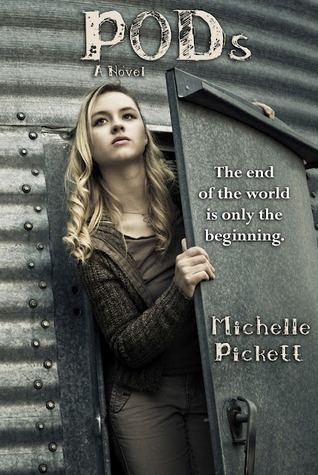 Read on for the buy links for PODS, how to enter the GIVEAWAY (open to US residents only) and to read about the author Michelle Pickett and her works. Win 1 signed copy of PODs and some Swag! The Innocent (Milayna #3), April 2015. This entry was posted in Dystopian Romance, REVIEWS (ALL) - Reverse Chronological Order, Romance, Sci- fi Romance, Sci-fi, Young Adult and tagged deadly-virus, dystopian-romance, michelle-pickett, sci-fi- romance, Zombies. Thank you so much for reading and reviewing PODs. I appreciate it more than I can say. Bloggers like you are priceless to authors! Without you it would be almost impossible to meet and create relationships with readers. Thanks and I’m so happy you enjoyed PODs! It is a bit scary at times and you are right, it would make a great TV serial, although I would probably peek at it from behind a cushion when it got to the really gory bits! The zombie like creatures were terrifying but the actions of the authorities were quite chilling also, which made for a fascinating read. This book sounds soooo good! I love this type of book. Zombie like creatures and romance, perfect combination! I look forward to reading Pods!!!! Thanks for commenting Tina. :) I loved the fact that the romance was central to the plot, although Michelle Pickett didn’t shy away from the horrifying descriptions of the Zombies and their actions!